Charge decomposition analysis (CDA) is an important method to study charge transfer problems in depths. In this paper, we introduced CDA method, elucidated the issues that needed attention in the calculation, and presented a new form of CDA, which was called GCDA. At HF and DFT levels, GCDA is equivalent to CDA, while GCDA is more applicable at post-HF level, and meantime its open-shell form is explicitly considered. By taking OC-BH3 and cis-dichlorodiamine as test cases, we find the GCDA results at various theoretical levels are reasonable and qualitatively consistent, but differ quantitatively; in particular, a rough trend exists in the d term: Functional with low HF composition > Functional with high HF composition > HF ≥ MP2 > CCSD. The paper also discussed the choice of basis-set in GCDA calculation. 周光耀. 氢键的量子化学研究(一)[J]. 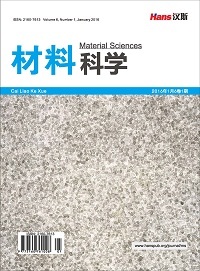 物理化学进展, 2015, 4(2): 84-101. 卢天, 陈飞武. 原子电荷计算方法的对比[J]. 物理化学学报, 2012, 28(1): 1-18. Reed, A.E., Weinstock, R.B. and Weinhold, F. (1985) Natural Population Analysis. The Journal of Chemical Physics, 83, 735-746. 卢天, 陈飞武. 分子轨道成分的计算[J]. 化学学报, 2011, 69(20): 2393-2406. Dapprich, S. and Frenking, G. (1995) Investigation of Donor-Acceptor Interactions: A Charge Decomposition Analysis Using Fragment Molecular Orbitals. The Journal of Physical Chemistry, 99, 9352-9362. Gorelsky, S.I., Ghosh, S. and Solomon, E.I. (2005) Mechanism of N2O Reduction by the μ4-S Tetranuclear CuZ Cluster of Nitrous Oxide Reductase. Journal of the American Chemical Society, 128, 278-290. Zhao, M., Wang, L., Li, P., Zhang, X., Yang, Y. and Zheng, W. (2015) Paddlewheel 1,2,4-Diazaphospholide Dibismuthanes with Very Short Bismuth-Bismuth Single Bonds. Chemical Communications, 51, 16184-16187. Lan, J.-H., Wang, C.-Z., Wu, Q.-Y., Wang, S.-A., Feng, Y.-X., Zhao, Y.-L., Chai, Z.-F. and Shi, W.-Q. (2015) A Quasi-relativistic Density Functional Theory Study of the Actinyl(VI, V) (An = U, Np, Pu) Complexes with a Six-Mem- bered Macrocycle Containing Pyrrole, Pyridine, and Furan Subunits. The Journal of Physical Chemistry A, 119, 9178- 9188. Wagner, A., Kaifer, E. and Himmel, H.-J. (2013) Bonding in Diborane-Metal Complexes: A Quantum-Chemical and Experimental Study of Complexes Featuring Early and Late Transition Metals. Chemistry: A European Journal, 19, 7395-7409. 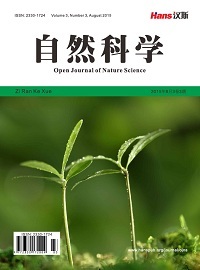 Zhu, Y., Day, C.S., Zhang, L., Hauser, K.J. and Jones, A.C. (2013) A Unique Au-Ag-Au Triangular Motif in a Trimetallic Halonium Dication: Silver Incorporation in a Gold(I) Catalyst. Chemistry: A European Journal, 19, 12264-12271. Roy, D.K., Mondal, B., Anju, R.S. and Ghosh, S. (2015) Chemi-stry of Diruthenium and Dirhodium Analogues of Pentaborane(9): Synthesis and Characterization of Metal N,S-Heterocyclic Carbene and B-Agostic Complexes. Chemistry: A European Journal, 21, 3640-3648. Yao, Y.S., Yong, X., Tse, J.S. and Greschner, M.J. (2014) Dihy-drogen Bonding in Compressed Ammonia Borane and Its Roles in Structural Stability. 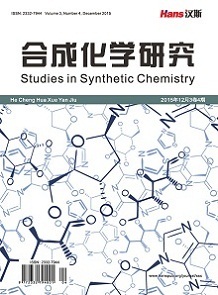 The Journal of Physical Chemi-stry C, 118, 29591-29598. Li, Z.-F., Yang, X.-P., Hui-Xue, L. and Guo, Z. (2014) Electronic Structure of Gold Carbonyl Compounds RAuL (R = CF3, BO, Br, Cl, CH3, HCC, Mes3P, SIDipp; L = CO, N2, BO) and Origins of Aurophilic Interactions in the Clusters [RAuL]n (n = 2 - 4): A Theoretical Study. Organometallics, 33, 5101-5110. Das, R. and Chattaraj, P.K. (2014) Gas Storage Potential of ExBox4+ and Its Li-Decorated Derivative. Physical Chemistry Chemical Physics, 16, 21964-21979. Wang, W.-Y., Ma, N.-N., Sun, S.-L. and Qiu, Y.-Q. (2014) Impact of Redox Stimuli on Ferrocene-Buckybowl Complexes: Switchable Optoelectronic and Nonlinear Optical Properties. Organometallics, 33, 3341-3352. Yang, X., Liang, Y.N., Ding, S.D., Li, S.J., Chai, Z.F. and Wang, D.Q. (2014) Influence of a Bridging Group and the Substitution Effect of Bis(1,2,4-triazine) N-Donor Extractants on Their Interactions with a NpV Cation. Inorganic Chemistry, 53, 7848-7860. Mulliken, R.S. (1955) Electronic Population Analysis on LCAO-MO Molecular Wave Functions. II. Overlap Populations, Bond Orders, and Covalent Bond Energies. The Journal of Chemical Physics, 23, 1841-1846. Hariharan, P.C. and Pople, J.A. (1973) The Influence of Polarization Functions on Molecular Orbital Hydrogenation Energies. Theoretica Chimica Acta, 28, 213-222. Dunning Jr., T.H. (1989) Gaussian Basis Sets for Use in Correlated Molecular Calculations. I. The Atoms Boron through Neon and Hydrogen. The Journal of Chemical Physics, 90, 1007-1023. Weigend, F. and Ahlrichs, R. (2005) Balanced Basis Sets of Split Valence, Triple Zeta Valence and Quadruple Zeta Valence Quality for H to Rn: Design and Assessment of Accuracy. Physical Chemistry Chemical Physics, 7, 3297- 3305. Wadt, W.R. and Hay, P.J. (1985) Ab Initio Effective Core Potentials for Molecular Calculations. Potentials for Main Group Elements Na to Bi. The Journal of Chemical Physics, 82, 284-298. Stephens, P.J., Devlin, F.J., Chabalowski, C.F. and Frisch, M.J. (1994) Ab Initio Calculation of Vibrational Absorption and Circular Dichroism Spectra Using Density Functional Force Fields. The Journal of Physical Chemistry, 98, 11623- 11627. Neese, F. (2012) The ORCA Program System. Wiley Interdisciplinary Reviews: Computational Molecular Science, 2, 73-78. Lu, T. and Chen, F. (2012) Multiwfn: A Multifunctional Wavefunction Analyzer. Journal of Computational Chemistry, 33, 580-592. Lu, T. and Chen, F.W. (2012) Atomic Dipole Moment Corrected Hirshfeld Population Method. 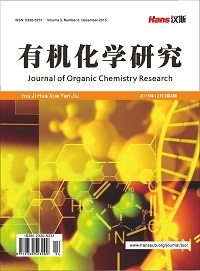 Journal of Theoretical and Computational Chemistry, 11, 163-183. Becke, A.D. (1988) Density-Functional Exchange-Energy Approximation with Correct Asymptotic Behavior. Physical Review A, 38, 3098. Lee, C., Yang, W. and Parr, R.G. (1988) Development of the Colle-Salvetti Correlation-Energy Formula into a Functional of the Electron Density. Physical Review B, 37, 785-789. Perdew, J.P., Burke, K. and Ernzerhof, M. (1996) Generalized Gradient Approximation Made Simple. Physical Review Letters, 77, 3865-3868. Adamo, C. and Barone, V. (1999) Toward Reliable Density Functional Methods without Adjustable Parameters: The PBE0 Model. The Journal of Chemical Physics, 110, 6158-6170. Becke, A.D. (1993) A New Mixing of Hartree—Fock and Local Density-Functional Theories. The Journal of Chemical Physics, 98, 1372-1377. Zhao, Y. and Truhlar, D. (2008) The M06 Suite of Density Functionals for Main Group Thermochemistry, Thermochemical Kinetics, Noncovalent Interactions, Excited States, and Transition Elements: Two New Functionals and Systematic Testing of Four M06-Class Functionals and 12 Other Functionals. Theoretical Chemistry Accounts, 120, 215- 241. Zhao, Y. and Truhlar, D.G. (2006) Density Functional for Spectroscopy: No Long-Range Self-Interaction Error, Good Performance for Rydberg and Charge-Transfer States, and Better Performance on Average than B3LYP for Ground States. 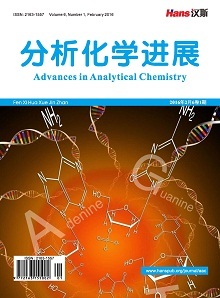 The Journal of Physical Chemistry A, 110, 13126-13130. Chai, J.-D. and Head-Gordon, M. (2008) Long-Range Corrected Hybrid Density Functionals with Damped Atom- Atom Dispersion Corrections. Physical Chemistry Chemical Physics, 10, 6615-6620. Frisch, M.J., Pople, J.A. and Binkley, J.S. (1984) Self-Consistent Mo-lecular Orbital Methods 25. Supplementary Functions for Gaussian Basis Sets. The Journal of Chemical Physics, 80, 3265-3269. Jensen, F. (2007) Introduction to Computational Chemistry. 2th Edition, John Wiley & Sons, West Sussex. Koch, W., Holthausen, M. C. (2001) A Chemist’s Guide to Density Functional Theory. 2th Edition, Wiley-VCH Verlag GmbH, Weinheim.